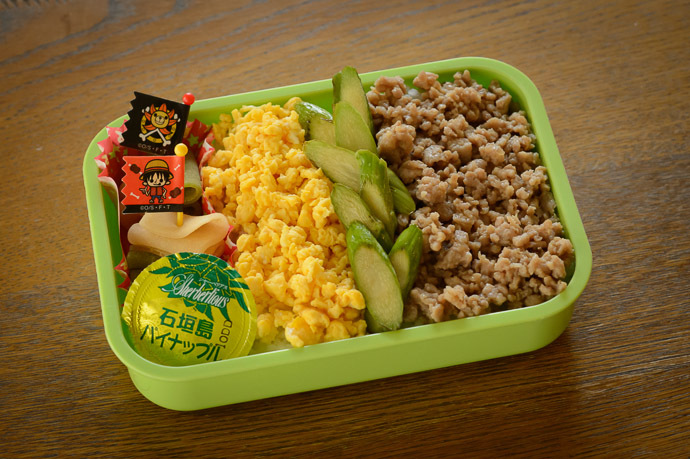 Anthony (fifth grade) has a school field trip today for which Fumie had to make a bento lunch. It's been a while since he needed one of these, though when in preschool (five years ago!) he needed a bento every day. 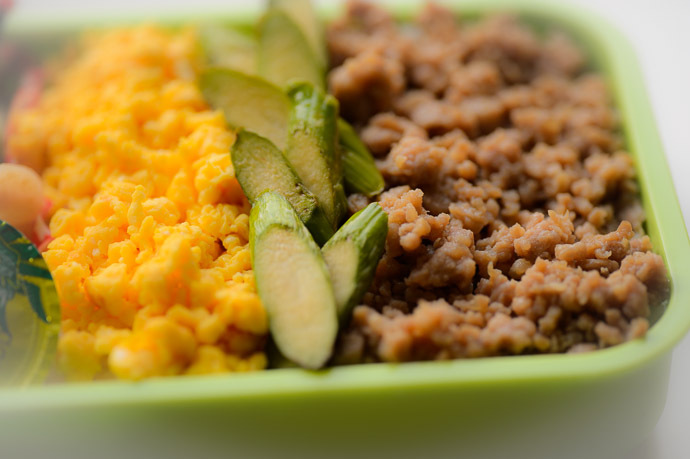 The challenges of bento design are many... food that he'll eat without being fussy, food that will stay fresh without refrigeration until lunch, a presentation that is both pleasing and robust against the bumps and bruises of the inside of a backpack, all while being both healthy and sufficiently nutritious for a long day of hiking. It's perhaps easier now than when he was a baby, but whoever said “Motherhood isn't rocket science” was making a slight against rocket scientists. As Fumie was arranging the sliced asparagus, it was hard to miss the similarity in shape to ballet pointe shoes all lined up. This may be a dumb question, but why don’t they use lunch boxes? The small, soft-sided insulated lunch boxes my kids use are the same size as the old metal ones we used to have, and you can pop a cold-pack into them and they’re still cold when they get home from school. Plus you have the added advantage of not having to worry if the food mixes. They truly elevate lunch to an art form, don’t they? But the Japanese are so wonderfully artistic in all they do. I used to love seeing your lovely wife’s food presentation posts. What a great mum! Please do post more of these?